At the head of every great school is a strong administration and behind every great organization is a great Board of Directors. 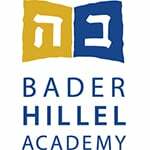 Bader Hillel Academy is no exception. Principal, Devorah Shmotkin has been head of the school for 10 years, with 45 years of experience in education. Head of Judaic Studies, Batya Landes recently joined the staff bringing with her 30 years of school experience including 17 years in administration of Judaic curriculum. Mr. Ryan Miller was promoted to the position of Assistant Principal in 2013 after his time as head of our Mathematics and Middle School STEM program. Our Board of Directors is comprised of community members and parents. All community members are invited to become involved by joining the Board and to share their expertise and other talents towards even greater enhancement of the exceptional program. Nominations for the Board of Directors must be submitted in writing to the chair of the Nominating Committee in accordance with the by-laws of the school. You may volunteer to work on any standing or ad hoc committee by contacting a Board of Executive Committee member .